The Winchester Longbeard loads were announced last September, with the Rooster XR loads following. As you can imagine, they come with the normal silly marketing hyperbole of range, penetration, and the ever-mysterious knockdown. We should all be used to it by now. Despite the really goofy claims, there is merit to these loads. To cut to the chase, they are 12 gauge lead loads with an improved type of plastic buffer. The notion that these loads are as good, or superior, to the better high density loads out there is without basis. Shot density is a key component of effective range, a completely settled matter of rudimentary exterior ballistics. It is the reason steel, despite its superior sphericity, cannot equal lead and lead does not have the potential to equal materials heavier than lead. Shot deforms shot; buffering reduces that but not by any finite percentage. One criticism of the classic Nilo Farms testing was that the lead shotshells used were actually "too good"-- grex / lubaloy loads. Buffering has the most noticeable effect with heavy payloads and with hard shot. While legal in many disciplines with light target loads, the actual results are far less . . . and most don't bother with them as a result in light payload applications. The first time Winchester HD loads (spherical shot) were used at the NWTF championships, they beat the pants off of 'Hevi-Shot.' These shells throw spherical tungsten composite pellets at around 1,300 fps and scored four straight victories at the National Wild Turkey Federation's National Still Target Championship. In this competition, shooters take aim at a target from 40 yards away with various shotguns, loads and chokes. For four years straight, the winner had a Winchester Supreme load in the chamber. They also broke the "more is better" rule by winning with the 12-gauge 3-inch magnum shell with 1-3/4 ounces of shot. High density spherical shot with 1-3/4 oz. did the job for four straight years. Buffering lead shot does indeed improve shotshells. The Grex-buffered Lubaloy shells were not a huge commercial success, but they did perform just as advertised. 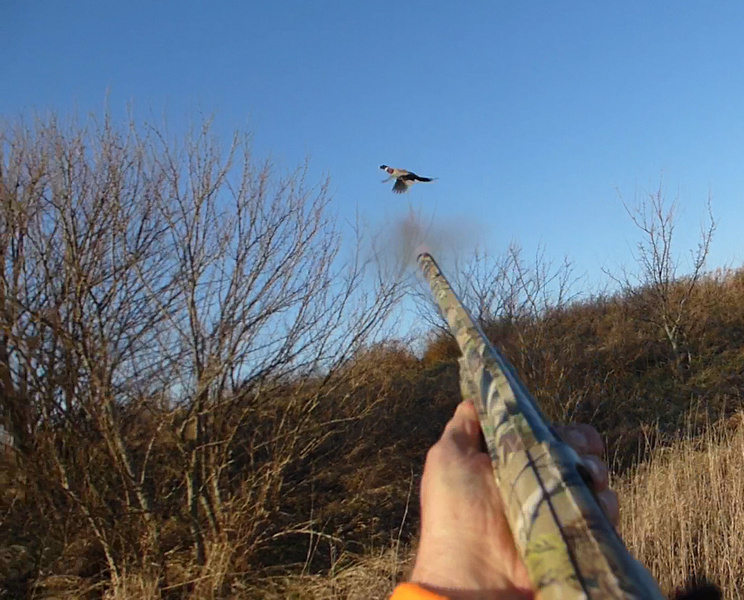 The best-patterning hunting lead loads I've used over the years have all been buffered loads. In fact, just this last season I used Remington Nitro Turkey Buffered Loads, the only way they make them in twenty gauge: #NT20M5, 1-1/4 oz., #5 shot, 1185 fps. In photo above, I'm applying some buffer to a wild Illinois rooster, with the help of a Trulock Precision Hunter extended choke tube. What Winchester has done here is try to improve upon lead shells with granulated buffer by filling the entire shot column with plastic liquid that hardens into a brittle, frangible mass. By using liquid polymer, there are no voids present in the shot mass, so most all of the shot makes it out of the muzzle in spherical condition. 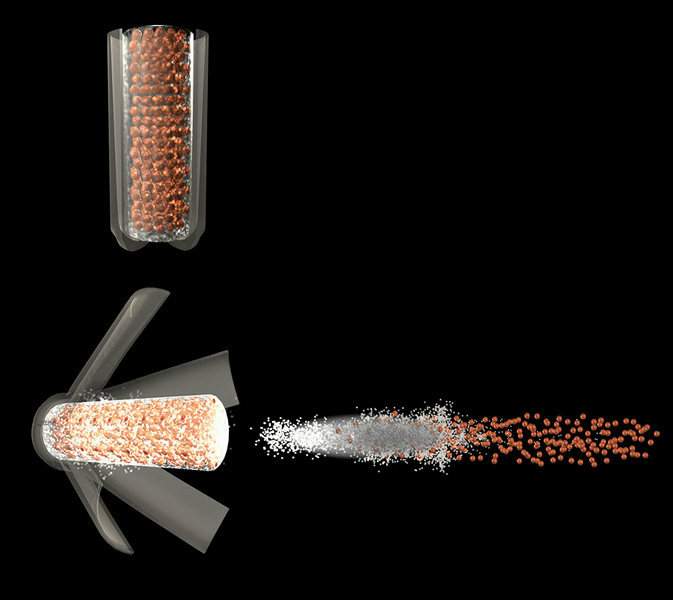 Granulated buffer can only do so much, as it is dispersed throughout a shot column by using vibratory tables. In the case of these Winchester loads, the shot, prior to firing, is essentially one solid mass. While #5 lead can not ever be anything more than #5 lead, it seems to be a significant improvement upon conventional buffering. There isn't much question that this is a solid approach that works, but how well? How these shells are affected by choke constriction, precisely, is another open question. Patterning comparisons to follow.